For the past ten years, Barry Baker's publicly-attended solo concerts have been popular and numerous. In 1999, Barry was named "Organist Of The Year," an honor awarded by the American Theater Organ Society. Presently, he is a frequent performer at the major organ venues from New York to Los Angeles, and has presented international concert tours of cities in England, Scotland, Wales, New Zealand, and in Australia: Melbourne, Sydney, Perth and Adelaide. Barry was the only American organist invited to perform a concert for the 1996 Australian Theatre Organ Society's National Convention, held in Sydney. More recently, he performed at Walt Disney's El Capitan Theatre in Hollywood, California on the former San Francisco Fox Wurlitzer. More than seventeen years after performing his childhood debut on the well-known Emery Theatre Wurlitzer in Cincinnati in 1999, Barry presented the highly publicized Emery "Farewell Organ" concert, after which the instrument was removed for the theatre's renovation. In July of 2000, Barry joined the Baldwin Piano Company with world headquarters in the Cincinnati area, serving as Keyboard Product Specialist for Baldwin's sophisticated line of digital keyboards. In addition, he remains as active as ever with his demanding theatre organ schedule. To date, Barry has released two compact disc recordings on the acclaimed Ronald Wehmeier Studio Wurlitzer in Cincinnati which have each received overwhelming official and popular praise: "For The Very Fist Time" (1995) and "A Barry Baker Concert" (1999). 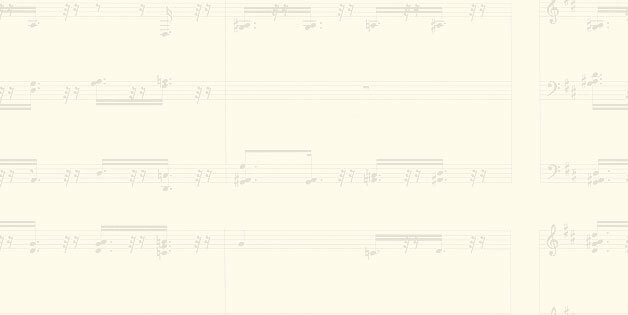 The latter features selections recorded live in concert. For the past eleven years Barry has been Artist in Residence at the Wehmeier Studio, where he has countless performances to his credit. Barry is a graduate of Southern Ohio College (Broadcasting, 1992) and the University of Cincinnati College-Conservatory of Music (Piano Performance, 1996). His solo piano recitals have included Francis Poulanc's "15 Improvisations for the Piano" and Frederic Chopin's "Piano Sonata #2," among works by Mozart, Beethoven, Schubert, Mendelssohn and Debussy. Upon completing his academic accomplishments, Barry began a four-year association in the Milwaukee area in accepting positions as resident organist at the Organ Pipe Music Palace Restaurant, piano instructor at the Family Music Center and principal organist at the First Church of Christ, Scientist. A Cincinnati area native, Barry began his musical career with formal piano instruction at the age of eight, while teaching himself the theatre pipe organ. His musical career was under way with the appointment of a church position as pipe organist and pianist. One year later he performed his theater organ debut in downtown Cincinnati at the Emery Theatre Wurlitzer. The response for this gifted youngster was tremendous, and by the age of twelve, Barry was invited to perform on the noted four manual 33 rank Wurlitzer pipe organ at Cincinnati's Springdale Music Palace Restaurant, where, years later, he became resident organist. After his association with that establishment, Barry entertained for four years on the four manual Wurlitzer at the Shady Nook Restaurant, also in the Cincinnati area. 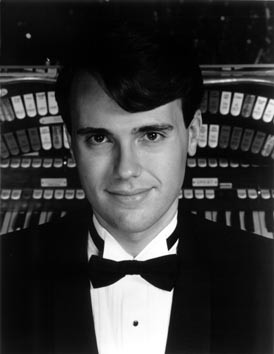 While in high school, Barry was named International First Place Winner in the 1989 Young Organist Competition, sponsored by the American Theatre Organ Society. As a result, he performed as a featured artist at both the 1989 and 1990 ATOS National Conventions, which launched his international concert career. Barry's internationally attended ATOS concerts have included Minneapolis in 1993 and 1995, Cedar Rapids in 1998, Wichita Kansas in 1999 on the former New York Paramount Theatre Wurlitzer, and the closing concert for the 2000 National Convention in Milwaukee.